KXAN-TV, the Media General NBC affiliate in Austin, Texas, has started removing its old set in preparation for a new look. 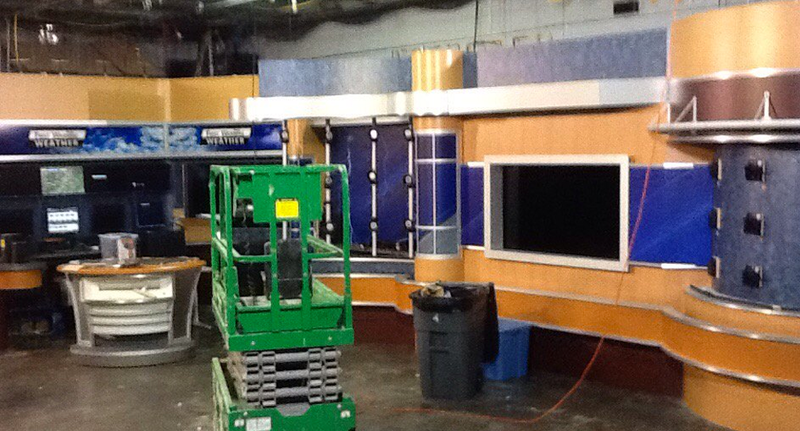 Anchor Robert Hadlock tweeted a photo of the new set with most of the monitors and graphics removed. The station expects to debut the new set in time for the Rio Olympics games on its parent network. The old set featured a standing anchor desk flanked by monitor arrays and a weather center, as well as a multipurpose area.